Please, feel free to share this information with the colleagues from your hospital and hematological associations. Everybody is welcome to attend this meeting. There is no registration fee, but the number of accepted participants is limited. The workshop has CME accreditation from the Macedonian Association of Medicine and Macedonian Chamber of Medicine. We wish you a pleasant stay in Skopje and a successful meeting. 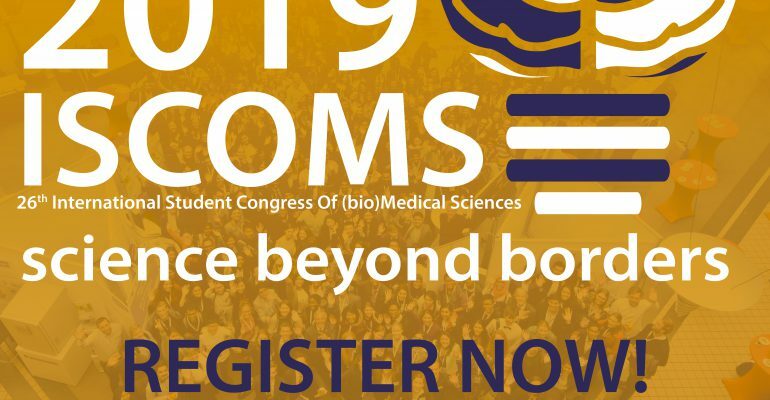 The International Student Congress Of (bio)Medical Sciences (ISCOMS) is one of the world’s leading student congresses in the field of (bio)medical sciences. The 26th edition of ISCOMS will take place from the 3rd until the 7th of June 2019 in the University Medical Center of Groningen, the Netherlands. Last year’s congress was a great success with 959 participants attending from all over the world. They will tell us all about their interesting research!